Not every Kaiju formed by the Rift is made of flesh and blood. The Everfolk are a loosely-knit group of sentient plants and rock creatures. Some are diminutive while others tower over everything else on the battlefield. Most Everfolk are not much interested in fighting but are focused on the preservation of the environment around them. Most Everfolk consider themselves to be neutral, serving only Mother Earth, but a few have stepped up to take a more heroic stance against the forces of evil and destruction. Still others have become polluted by self-preservation and the promise of greener pastures and have aligned themselves with the very darkness their brethren fight. 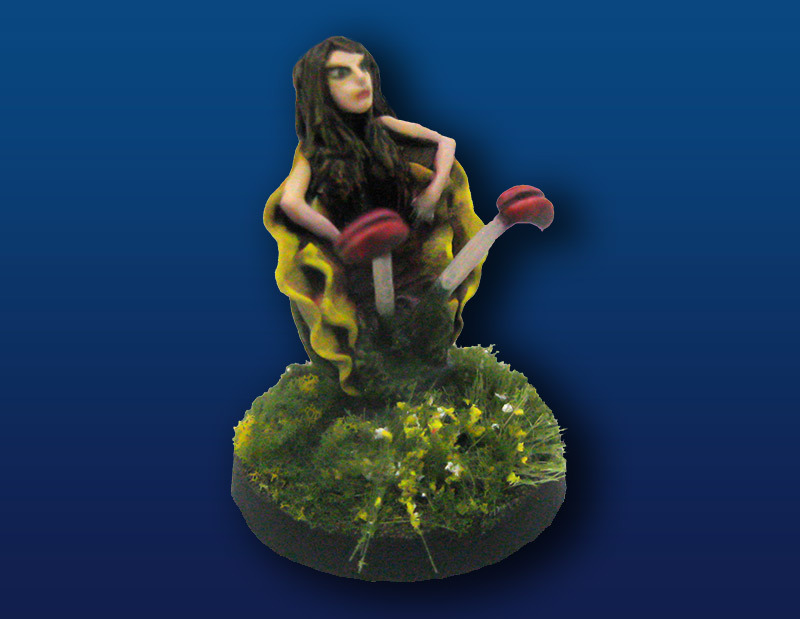 Flora the Dryad is a beautiful but deadly adversary. Her strange but delicate little petals are not something that you would wish to find at the bottom of your well-manicured garden. Flora uses her voluptuous contours and heady fragrance to lure the weak-willed into a ghastly and untimely demise with the unleashing of her poisonous spore burst. 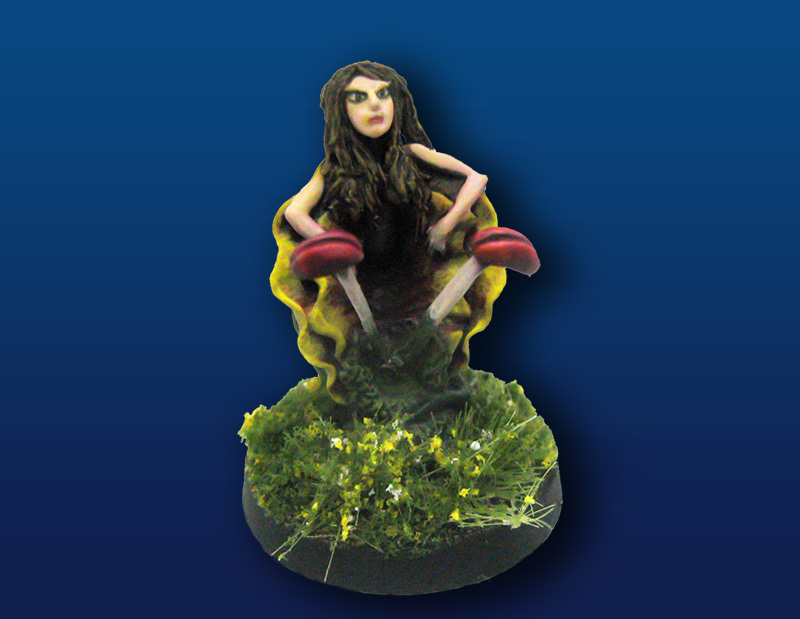 Flora the Dryad was originally designed and released by Fiendish Fabrications for use in Kaiju Kaos. 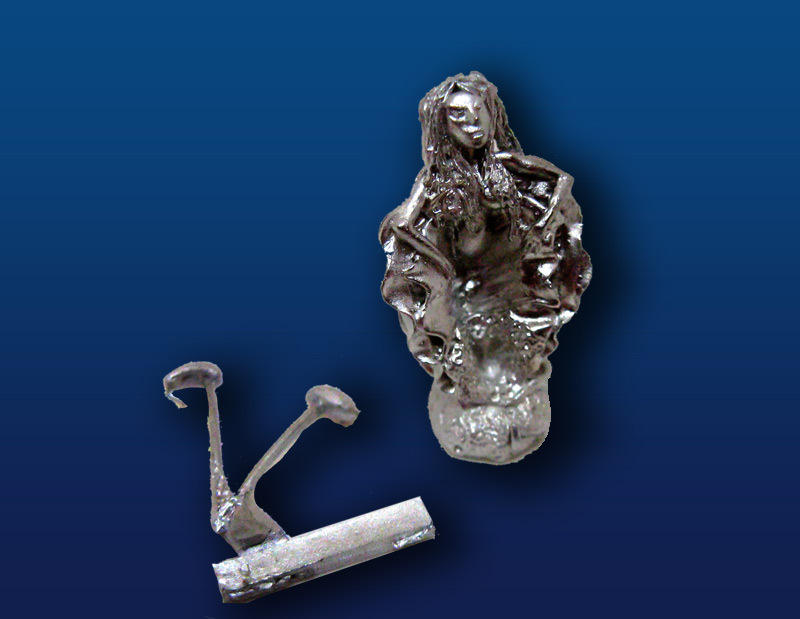 When the company closed, we acquired the rights to produce and release this miniature directly. 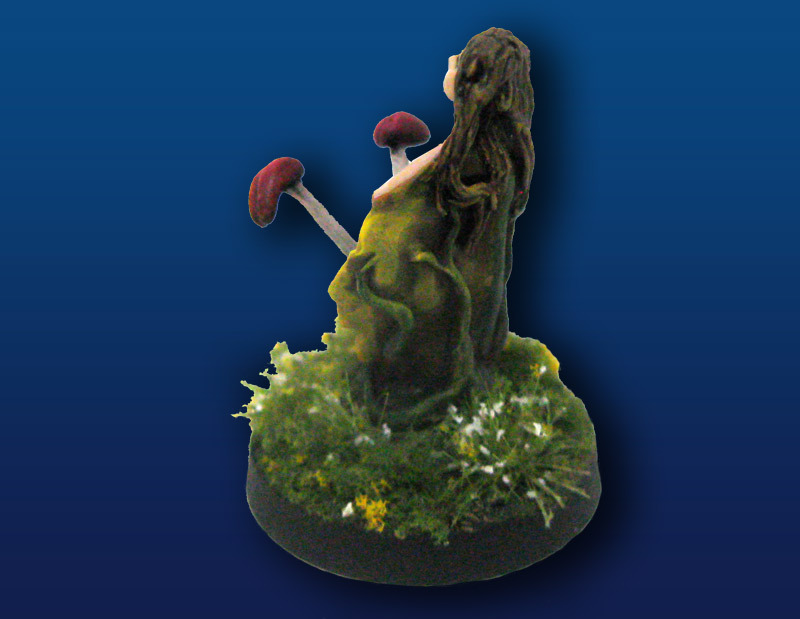 Flora the Dryad requires a standard 28mm slotta base for deployment (not provided). Official game stats are available at WargameVault.com.